After you buy a drone, the first thing you usually need to do is get an authentic bomber jacket. Because you're a pilot now, and pilots wear bomber jackets. 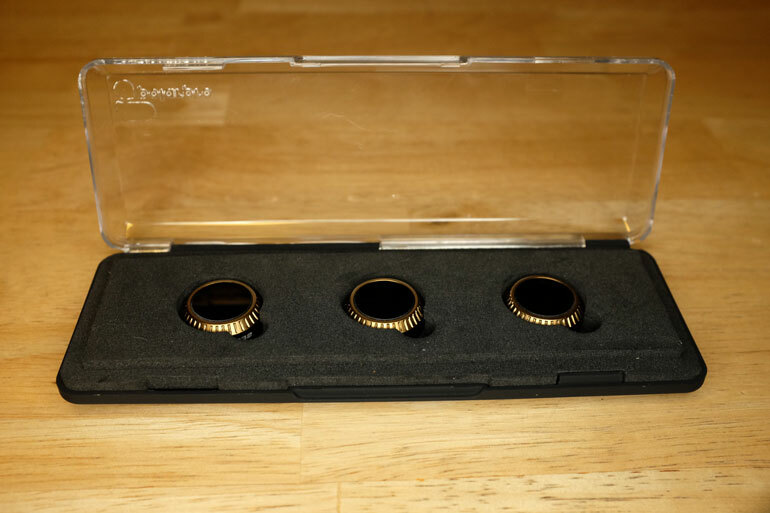 The second thing you should do is put in an order for extra batteries, preferably 2 or 3 extras. 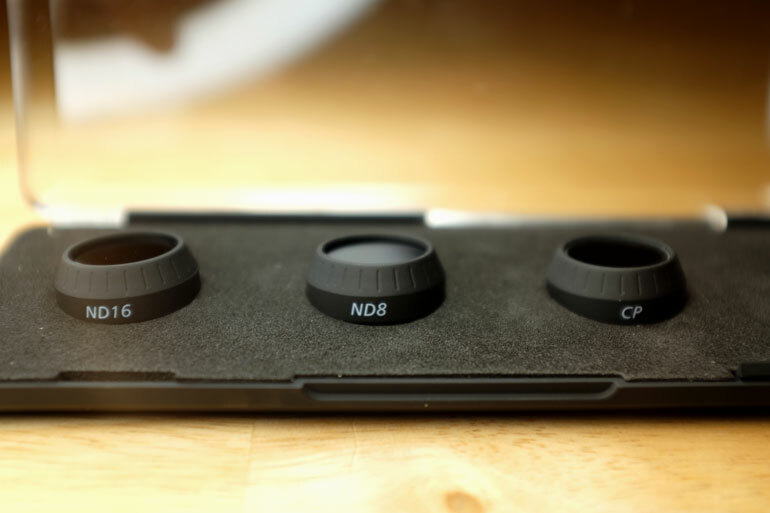 And lastly, get yourself an ND filter. Better yet, get a set of them. 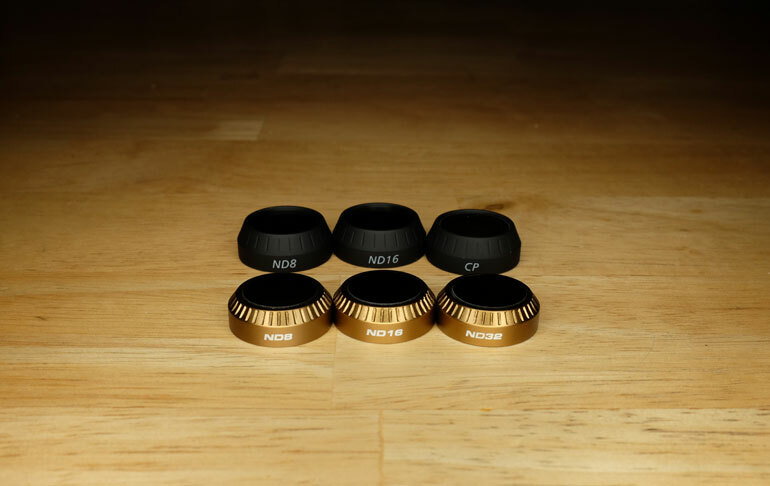 ND Filters are absolutely essential if you ever plan to use your drone for video. And PolarPro﻿ is the go-to company for ND filters for GoPros and DJI drones. 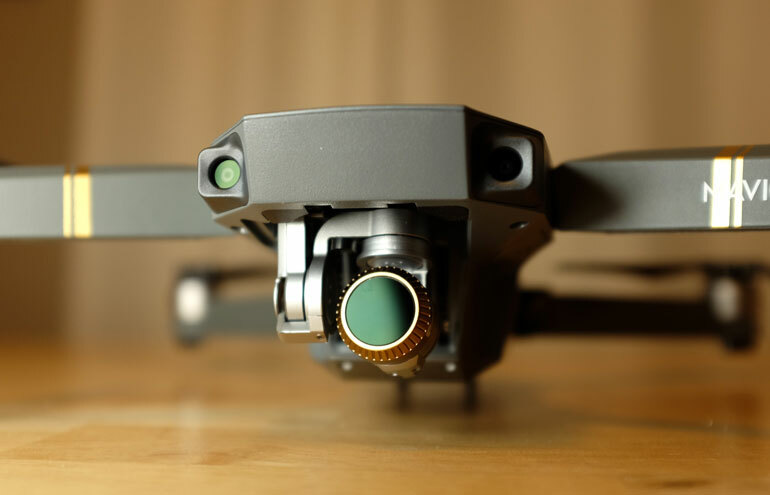 We had one permanently fixed onto our GoPro when flying the Phantom﻿ ﻿2, we bought a set immediately when we got the Phantom 3, and when our Mavic﻿ Pro finally shipped, we...forgot to get the ND filters. And then the Pacific Northwest had this incredible snowfall that made for really amazing aerial filmmaking. So we hurried out and launched our Mavic Pro into the sky, captured what we thought was the most epic footage ever, and then came back to watch a bunch of jello. So don't be like us. Get your ND filters immediately. You'll most likely need it 95% of the time. But wait, now PolarPro has a couple new sets of Mavic Pro ND filters called Cinema Series. How are they different from the standard set? Read on! We recently took our Mavic out on a moderately bright day in Oregon, to the top of a hill where the sun was blaring over scorched snow and faded grass. It was the perfect day to test out the PolarPro ND filters, and to see just how essential they really are. Along with our Mavic, we had both the PolarPro Mavic ﻿N﻿D Filters 3-pack, which has been out for a few months now, as well as the newly released PolarPro Cinema Series - Shutter Collection of ND Filters. 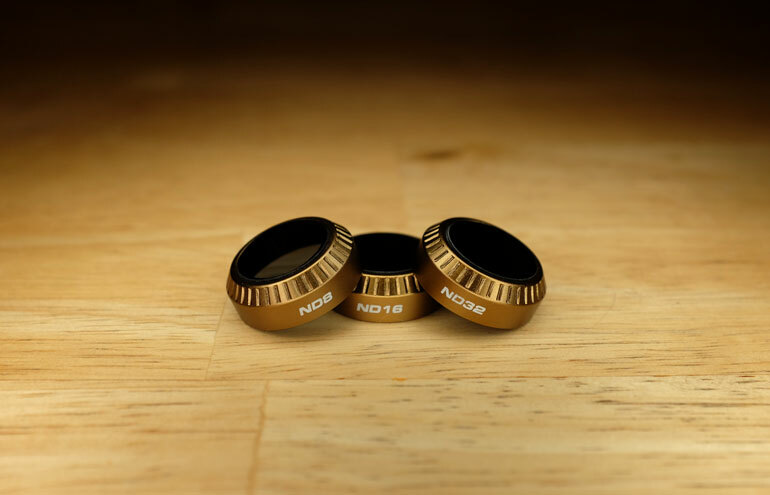 The original pack comes with an ND8, ND16, and a Circular Polarizer filter, all made of extremely lightweight material that doesn't weigh down the little Mavic camera. 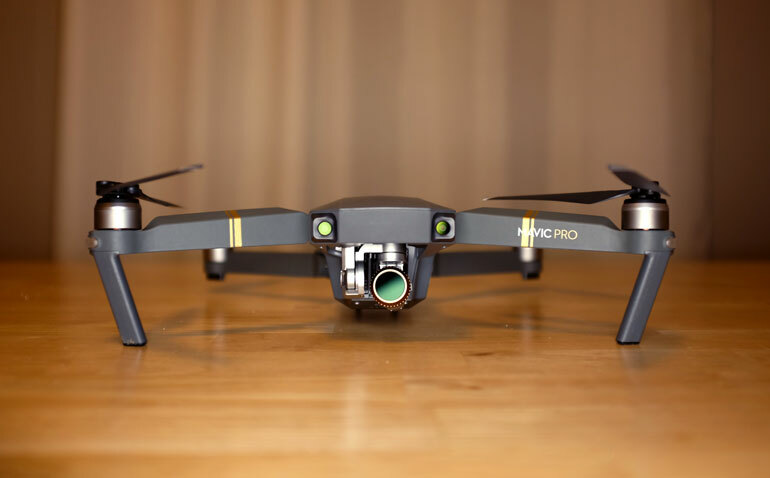 The new Cinema Series, however, are made from even lighter aluminum, and they fit the Mavic camera like a glove. 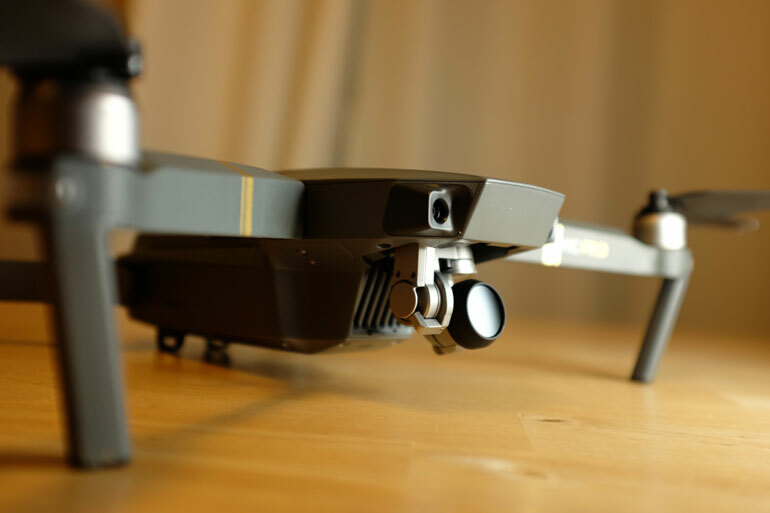 One of the main differences between the two sets is that the original ND filters can't be placed onto the Mavic camera until after the drone is turned on and the gimbal auto calibration is performed. It's not a big issue, but there are certainly advantages to being able to keep a filter on. For example, if you're at a location and you like to fly a little, before hiking to a different location, and then flying a little more, it could be a slight annoyance to have to remove the filter between each time. Or perhaps you like to keep an ND16 on semi-permanently for the majority of your shooting. So that's where the Cinema Series comes in. These little filters have been designed by PolarPro to be so lightweight that the Mavic gimbal calibration doesn't hiccup when they're on. They're also smaller than the original filters, so when they're on, they feel incredibly snug, so don't be worried about the filter falling off. Honestly, none of your ND filters are likely to fall off the Mavic, unless you hit a tree or something. But who in their right mind flies that close to trees? ​This is the filter you absolutely need if you want to fly on a sunny day at the ideal 180 degree shutter speed. For recording at 30 frames per second, that's a 1/60 shutter, and for 24 frames per second, it's a 1/50 shutter. In this video, we shot at 24 frames per second, so with the ND32, we set our shutter to 1/50 and kept it at that while flying both toward the sun and away from it. Apart from the short tree intro (which is pretty cool right? Mavic Tripod Mode is magic), we did not color correct or grade any of the video. So some of the ND32 clips are slightly over or underexposed, but we wanted to leave the shutter at 1/50. Bottom line: if you want to shoot at 1/50 or 1/60 shutter, and you live in a sunny area, you'll be using the ND32 filter much of the time. The second set of clips in the video is an example of what it's like to fly in moderately bright conditions without an ND filter. Most likely, you'll get rolling shutter jello on many of your clips. And for the most part, you can't remove drone jello in post production. Trust us, we've tried. The other flaw you'll notice is you can actually see the shutter refresh on some shots. We had to set the shutter at around 1/1600 to properly expose on this sunny day. The +/- means when we rotated the camera toward or away from the sun, we would have to adjust slightly to get the exposure correct. Bottom line: ​Yes, you can still get great footage on sunny days without an ND filter. In fact, in this video there's a really great shot without any jello or shutter issues. 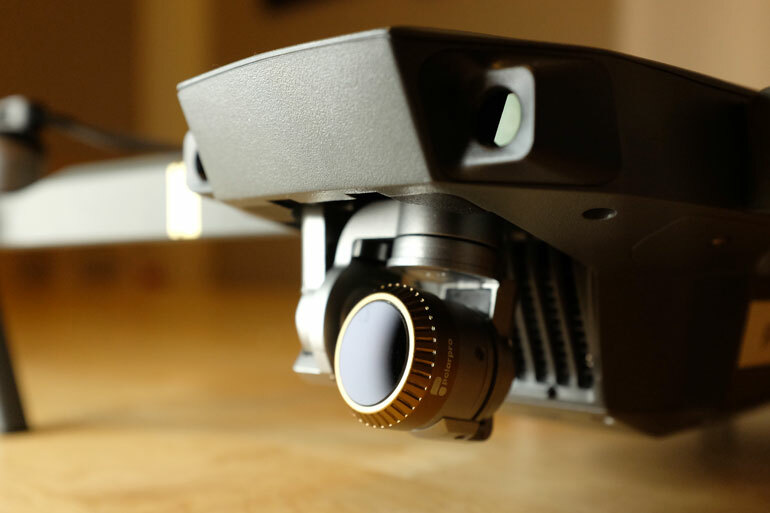 Often you can improve your chances of trouble free footage if you fly straight and at a more aggressive speed. But that's the thing, you're still taking chances, and there's nothing worse than coming back to find half or more of your footage is unusable. In this test, we had to set shutter to about 1/800 to properly expose the Mavic camera with the ND8 filter. While it did a great job of eliminating the rolling shutter jello, we still noticed a few times where you could see the shutter refresh. So while ND8 is helpful, it wouldn't really cut it on a bright day. In cloudy weather or at dawn or dusk, however, ND8 is perfect. It knocks down just enough light to get you to the shutter speed you want, without having to raise ISO and increase noise (if you had a stronger ND filter on, for example). Bottom line: ​ND8 is essential for cloudy or overcast days, at sunrise or sunset, or shooting in areas where the sun isn't directly shining. To properly expose the Mavic on a sunny day with the ND8, shooting at ISO 100, we had to set the shutter to 1/100, give or take a notch in either direction to make up for darker or brighter areas. A shutter of 1/100 is perfectly fine. In fact, you probably won't notice much difference in motion blur between 1/50 and 1/100. All the jello is gone, and you still have a little attitude in case the sun dips behind clouds, or if you're flying directly toward the light. 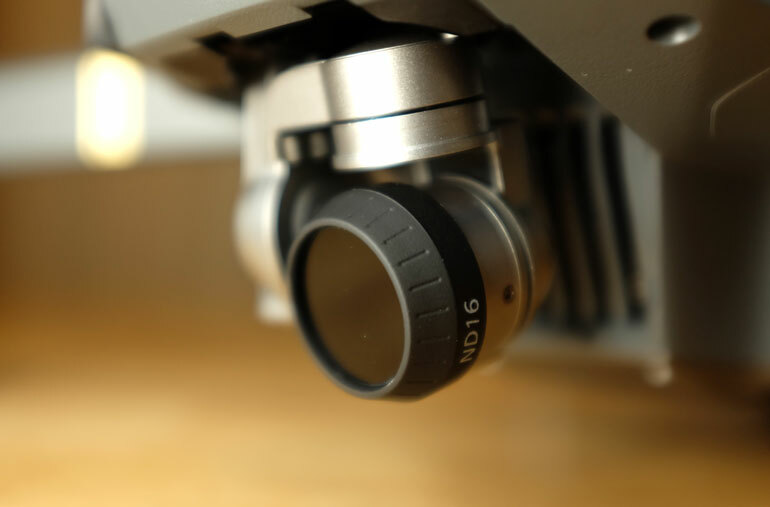 Bottom line: if you wanted to keep one ND filter on your Mavic at all times, it would probably be ND16. ​Because we also had the original PolarPro Mavic ND filters along, we wanted to include them in the test to see if there was any difference. 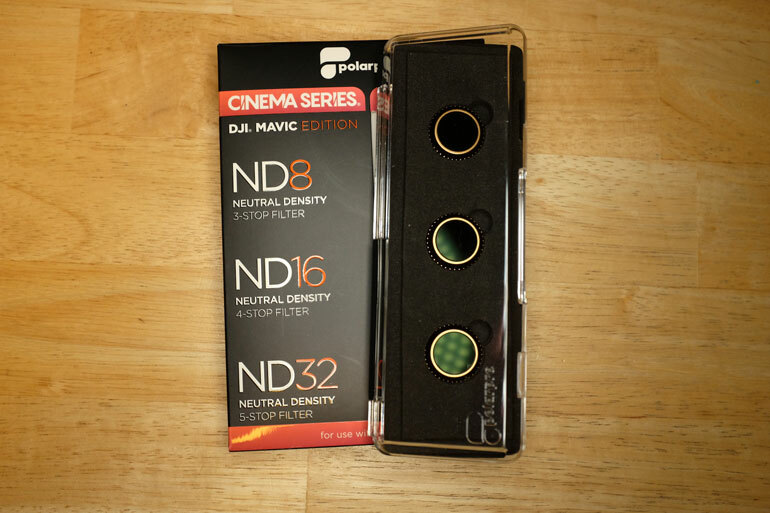 Apart from the housing, and having to remove the filter between battery changes or power on/offs, we don't believe there is a huge optical difference between ND16 included in either the original set or the Cinema Shutter Collection set. That said, the Cinema Series filters are multi coated and might offer better performance - but we'll have to wait for more users to test them as they become more widely used. Quick note: PolarPro does, have a different Cinema Series set of filters called "Vivid Collection​." Included are ND4, ND8, and ND16, all of which also have polarization built into them. The circular polarizers are better than the standard ND filters at increasing contrast and color saturation, while reducing glare. Given the choice, we prefer the Shutter Collection because ND32 is a must for sunny days. But if you shoot a lot of footage over water, then you may gravitate more toward the Vivid Collection for their polarization. And speaking of polarization, in the video test we also sent up the Mavic with the CP filter included in the original 3 pack. Our shutter was set to around 1/320 with ISO 100, and for the most part the CP filter performed superbly. But as we mentioned above, for our buck we prefer to have the right amount of neutral density filtration in our go kit, than sacrifice one of the filters for a circular polarizer. 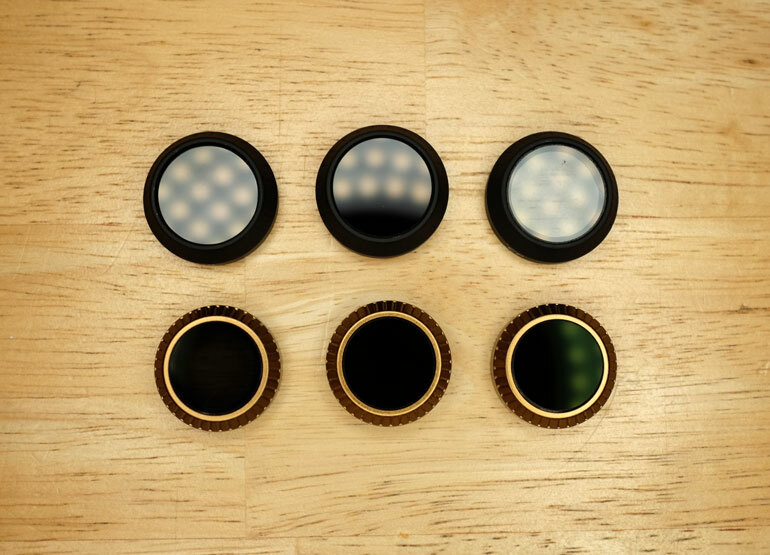 Then again, PolarPro also sells a 6 pack of both the original ﻿Professional﻿ Mavic filters, as well as a 6-pack of the Cinema Series filters, so maybe it's worth it to have all the filters you may need within reach. Includes the most requested filters not in the Vivid or Shutter Collection (ND4, ND32/PL, ND64, ND64/PL).